Hi loves! A quick and simple post today, I've been working on some pictures all night and realized I didn't have a post up yet - bad blogger ;-)! I am showing you a gorgeous polish: P2 Illegal. 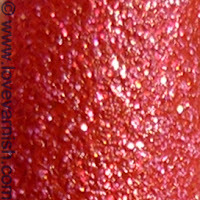 This is 1 out of 6 Sand Style polishes (I myself have 3, 2 of those were already shown to you by Loqi, check Confidential and Seductive) and it is a lovely red shade filled with golden sparkle. It applies very easy, almost no clean up needed! I am also happy to say it didn't stain or anything. Textures really won my heart, I want to get some of those Pixiedusts for Fall (that green! Sooo pretty). They apply easy, dry quickly, wear well and just look so GOOD! Do you like this texture polish? Are you done with the trend yet? Gah! Now I regret not picking this one up as well! Beautiful color! I really love the shimmery/ glittery textures! I should consider to dedicate a whole drawer in my helmers to textured polishes, they're incredibly increasing! Pixie Dust, p2, KIKO, OPI... They are simply so gorgeous! Gorgeous color! 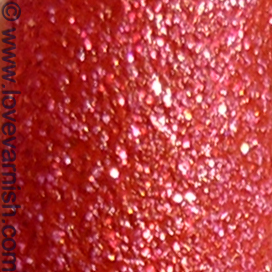 It took me a while, but I'm now fully on board with textured polishes...as long as they're packed with glitter. Maybe get it another time? It is so pretty! You have Kiko access right? I am jealous! YES! No creme texture for me - it looks just weird to me. Oooh that's too bad! I am on a no buy though, but if there is a sale in the future you could always let me know :).